While it is unfortunately the only part of the system that many companies use, the NPS numbers don’t matter all that much. What matters is what you do with what you have learned. The heart of the Net Promoter System lies in the three processes that support feedback, learning and improvement. They are shown above. The Inner Loop covers improvements for individual customers. You will find that some issues come up repeatedly and need to be improved for many customers. These ‘class issues’ are the subject of deeper analysis and improvement work in the Outer Loop. Some Outer Loop items cross business and / or functional lines and need to be led by someone who has the appropriate authority; usually the customer experience leader in larger companies. The Huddle is a regular team meeting to discuss progress. For those not familiar with American Football, the Huddle is the brief get-together each team does to plan its next play. It takes seconds. Implementing each of the three elements well should be the top priority for your Net Promoter System implementation. So, what is surprising, you may ask? The answer is simple: I had no contact whatsoever with their website. (For readers inclined to be picky, you can see that the URL for the feedback form is not a McDonald’s URL.) The following question was the recommendation question about the restaurant, but I had no way of knowing that when answering about the website. I believe this issue could have several explanations. First, McDonald’s seems to have implemented the Net Promoter Score in an inappropriate way. NPS is an overall brand metric that is also useful at the level of an individual product or service. Second, the people in charge of selecting the research vendor are probably IT people responsible for their website and they decided to slip the question in there anyway. Third, since the copyright notice suggests the survey form may exist since last year, it is possible that nobody reads the results or acts on them. Perhaps they are only interested in the numbers. Anyway, we live and learn. My advice: use the Net Promoter System and Score only at the overall brand level, or to measure and improve individual products or services. Your website is not a product unless you are a company that creates websites. Singapore Airlines usually finishes at or near the top of lists of the world’s best airlines. A flight this week gave me a chance to understand their email/web customer feedback process. It includes what I believe to be the single best thing you can do to improve response rates, and still has room for improvement. Indeed, there is a major ‘gotcha’ that I will describe at the end. 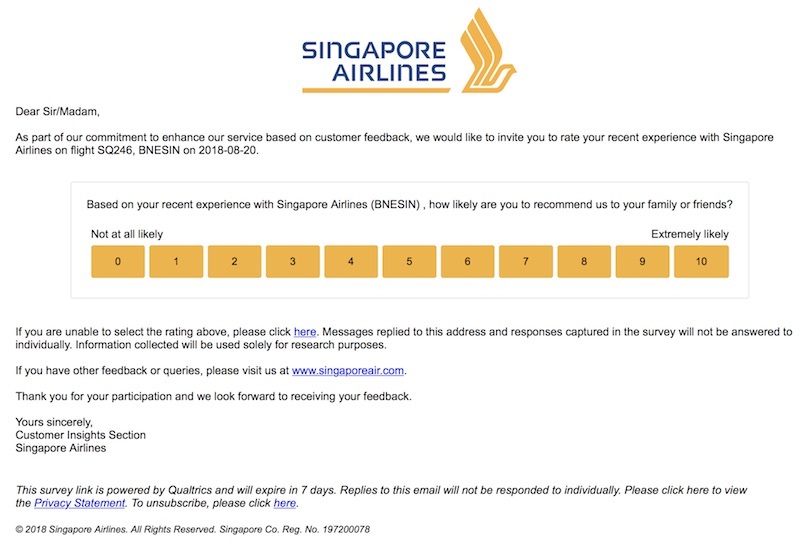 The feedback process for Singapore Airlines is administered by Qualtrics and there are several Qualtrics subscribers to this newsletter who may be able to act on some of my comments. The email I received 24 hours after the flight is just below my comments and suggestions. First, embedding the NPS rating scale in the outbound email is the single best thing you can do to improve response rates to feedback requests sent by email. In my own A/B testing at HP it at least doubled response rates. Others have found that it triples response rates. Personalizing the emails helps response rates too. This one is doubly anonymous. It is sent to ‘Sir/Madam” and we have no idea who has sent it. The lack of an addressee name may be a consequence of privacy laws that prevent transmission of personal data to third parties such as Qualtrics without the consent of the people concerned. There is no commitment to improve anything, at least according to the email. The purpose is research only, apparently. This is a relatively short survey with just ten screens, including the thank you screen at the end. However, the email provides no time estimate and there is no progress indicator as you answer the different questions. Providing a time estimate helps response rates. And I am still traumatized by the British Airways survey I received about three years ago that had over 100 screens. It is explicitly stated that you will not be contacted, no matter what your feedback. That’s pretty disappointing. Response rates and customer sentiment can be improved by telling people what you have learned and improved in the past. However, none of the issues mentioned compare to the single biggest problem. I received the feedback request, but I did not take the flight. I booked it for a family member who received her boarding card by email, so I know the airline had the correct email somewhere. This also happened to me with Thai airways a couple of years ago. Ah… cognitive bias. One of my favorite subjects. This 15-minute read by Ben Yagoda covers all of the common reasons our brains trick us into believing things that are not true. While it all seems particularly relevant in the modern political environment, this is a customer strategy newsletter so of course I would like you to take a different perspective. Use the article to understand why your colleagues and friends believe many things about customer experience (OK, and other topics) that are simply not true. And if you want to be a bit Machiavellic about it, learn how you can exploit these biases to communicate your own messages more effectively. Learn about it all here. Bruce Temkin and his team have just published their 2018 report on the ROI of customer experience by industry. As a software veteran, I am not at all surprised to learn that software is the industry with the best ROI on CX work. The research covered 318 companies in 20 industries. Fascinating. Read the summary here. Book sales continue their positive trend. We first published the books starting in March 2017 and every month in 2018 so far has had better sales than in 2017. As mentioned previously, the thing that helps most is Amazon reviews, so please provide your views there, no matter what you think. As you probably know, my brother Peter illustrated our books. He has an Oxford doctorate in cognitive psychology. While not about customer experience, I want to mention the three books he has just published in Kindle format. 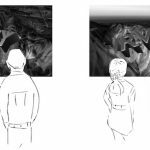 All three are photography books, demonstrating how a 90-degree rotated view of people, landscapes, and architecture can change our persepctive. Read his LinkedIn article on the topic here. Some thoughts on how to avoid confirmation bias when interpreting research results. While I will use Net Promoter System research as an example, this applies to all forms of customer and other research. And… I will suggest how you can use cognitive biases to your advantage when presenting your results or persuading people to invest in a project that is based on your results. In his book Thinking, Fast and Slow, Daniel Kahneman describes two ways our brains function. He refers to them as ‘System 1’ and ‘System 2’. At their most superficial, you can think of System 1 as intuition, and System 2 as rational thought. He offers persuasive arguments that System 1 acts first, and that System 2 is lazy, and does its best to avoid work. For NPS to be a trusted metric, it must work for both System 1 and System 2. The Ultimate Question 2.0 by Reichheld and Markey is the reference book for the Net Promoter System. It concentrates on System 2. This book’s content on survey design, improving response rates and things like the automated analysis of verbatim responses all appeal to System 2. I consider the System 2 work to be necessary but insufficient for success. You also have to appeal to the fast-acting intuitive reactions of System 1 thinking. The following are some items for you to consider. Kahneman describes an experiment set up by Solomon Asch : subjects were given descriptions of two people and asked for comments on their personalities. Here they are. What do you think of Alan and Ben? ● Alan: intelligent, industrious, impulsive, critical, stubborn, envious. ● Ben: envious, stubborn, critical, impulsive, industrious, intelligent. Most people describe Alan far more positively than Ben. Because the first word used to describe Alan is ‘intelligent’, the more negative character traits are considered to be justified. However, the words used to describe Alan and Ben are identical. Only the sequence has changed. The first thing that is presented has a disproportionate effect on your message, and sets the tone for all the rest. For example, if the overall message you want to communicate is that your company is making good progress, don’t start with the only negative story. When you are going to talk about what you need to improve and what is going well, start with what is going well. 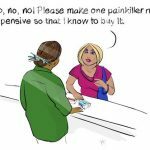 Of course, if you have just taken over the customer experience responsibility, you may want to be Machiavellian and start with the bad news, implicitly blaming it on the prior leadership. You could then reverse the sequence for the same information a few weeks later, and people will think you are making progress. Naturally, if you do this blatantly or often, you will lose trust. We all jump to conclusions without being aware of it. Kahneman offers the example, “Ann approached the bank” to illustrate this point. You almost certainly formed an image of a woman walking towards a bank, possibly to deposit money. However, the statement is ambiguous. If we had also been told that Ann was on a canoeing trip, our conclusion would be different and we would see her paddling to the side of the river. A lot of customer experience information is ambiguous. People’s System 1 will jump to conclusions and System 2 will sleep, unless you force it into action. 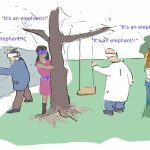 You have probably heard of the metaphor of blind people trying to identify what they are touching, when each is able to feel just one part of an elephant. Turn this on its head and you have confirmation bias. If your audience has been primed to think, for example, that customer service is awful, they will use whatever they can in your data to support that conclusion, and may not even realize they are doing so. In other words, how do you get people to react totally rationally to the NPS numbers you present and the financial business case you may be making? The sad truth is that you can’t do much about it. Your best solution is to force your System 1 to look at what you are going to present. Think in terms of someone who is going to ignore most of the data. 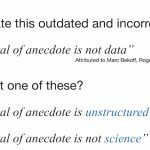 What are they going to see when they look at your slides? What are they going to hear when you speak? Their intuitive, emotional reaction will win out. System 2 will act only for brief periods. Plan on it. There is some science that suggests that asking people to do a simple mathematical puzzle that requires System 2 to get the correct answer will help engage System 2, at least for a brief period. Priming people by giving them a puzzle to do in a break, or just having it on the screen before your presentation may help. There is also evidence that making something difficult to read forces System 2 to engage. In any case, you should kick off by using a real customer quote or example, appealing to your audience’s emotions before you start showing data. It’s all quite tricky. We have to learn to combine rational and emotional thinking to be effective communicators. The full set of Asch’s experiments in this area is described in the article below. The example used is “Experiment VI” in the article. Since Fred Reichheld, Satmetrix and Bain own the Net Promoter System and NPS trademarks, they are the only ones who can designate the ‘official’ NPS training provider. Up to now that has always been Satmetrix, via classroom training. That has now changed. Satmetrix and NICE merged last year. At that time, Satmetrix CEO Richard Owen decided to found his own company, OwenCX. He and Satmetrix agreed that OwenCX would refresh NPS training and create an online certification system. That system is now live. I became involved in an odd sort of way. I approached Richard in early July with a proposal to work on online certification together. He told me that they had already done it, and that it was almost ready to launch. The result of that discussion was that I became the pilot student and the first person to be certified. Proud. And literally as I started writing this sentence, they announced that certification would be available free of charge to CX consultants for a limited time, and at a greatly reduced price for teams. Read all about it here. I had been managing projects for over 20 years when I had an unpleasant surprise. I had recently moved to a new manager and met him in his office in Munich. We reviewed progress on my latest project. After about an hour, he looked at me and said, “Maurice, you know nothing about project management.” After blustering and arguing that I had been doing it for a long time, so that could not be true, I finally asked him what he meant. He asked me some basic questions, like “What is a deliverable?” and “What is a task?” I did badly in answering. The root cause was that I had never had any formal training in project management. This had consequences. The main one was that I could not communicate effectively with people who had full Project Management Professional (PMP) training. We used the same words, but meant different things. My definitions were wrong and the PMP experts were correct. I fixed the problem by taking a ‘light’ course. Anyway, that memory surfaced this week as I was managing a project in a more personal domain; a house move. Worth thinking about. Ian often writes about his personal experiences as a traveler. Most of the time, he chooses to write about what I will call less than perfect customer experience. In his latest blog he writes about the many unexceptional air and train travel experiences he has had over the last two years. He counted 206 trips in all, and he says he can remember something about just 11 of them, though in most cases he is not quite sure which flight or train trip it was. His theme is that these companies and many others are mainly producing customer experiences ‘by accident’. It’s a nice read. Enjoy it here. Three Bain leaders just published a summary of their research into the adoption of 20 types of customer experience management tools around the world. Asian companies lead in predictive analytics, as you might expect. Furthermore, they recommend concentrating efforts on just a few tools, rather than spreading resources thinly across many efforts. That seems quite tricky advice to follow. To me it seems worthwhile doing a proof of concept on a range of tools, selecting some of them for pilot, and then deploying the best ones. Perhaps that is what the authors really mean. Read the summary here. NPS is not the only CX certification-related thing going on in my world at the moment. For NPS I have to think about how to answer someone who wants unofficial NPS training for an association but has no money. Outside NPS, I am looking forward to seeing an announcement of another type of CX training being available in a new language. More soon. Unless yours is a very small company, you will not be able to implement and operate an effective Net Promoter System or any other feedback and improvement system without appropriate technology. To the extent possible, you should use Cloud-based (SaaS) solutions that do not require you to invest in hardware. Among other things, an advantage of this approach is that you will not be constrained by a corporate IT budget, and can advance on your own. Cloud software is always up-to-date. For the sake of this discussion, Customer Relationship Management software, used by sales and call center people, is out of scope. You probably don’t have to spend any money to get into motion. Assuming small volumes, you can simply ask people to reply to the email to send their survey responses. The emails can go directly from anyone you choose, such as a product manager, or from a process mailbox in the name of the product manager. If you have designed your survey correctly, customers should be able to see the entire survey on a single screen when they open the email. This is almost impossible when using a link to a web-based survey. When customers see the full survey, it improves their belief in your statement that it will only take them a couple of minutes to respond. That in turn will improve response rates compared to a web link. Managing opt-out lists is difficult. Any survey you send should include a way for the customers to decline the survey and to tell you they no longer want to receive any surveys. If you work from a single Excel contact list, you can probably handle it correctly. If multiple people send surveys from multiple contact lists, it can be difficult to coordinate opt-outs across lists. Failing to manage opt-outs correctly can land you in legal trouble. To do any analysis of the results, you will have to copy-and-paste or otherwise transcribe what has been sent back. Higher subscription levels include simple text analysis. It runs in many languages. There are ‘certified’ NPS templates. Lots of people use it, so lots of advice is available. You can download results as Excel files for your own analysis. You can send emails directly from their service. If you don’t like it, don’t renew your monthly subscription. If you use a separate email solution, you can only provide a link to the SurveyMonkey survey in your email. There is no way of embedding the rating question in your email, so response rates will be lower (less than half) than with solutions from Medallia, Promoter.io and others that embed the rating question in the outbound message. When I say the text analysis is basic, it really is basic. So is Medallia’s, at the time of writing. Some tracking options are only available if you use SurveyMonkey’s outbound email service. MailChimp lets you see who has opened your messages and who has clicked on any link they contain. This is particularly useful for A/B testing. By this I mean, for example, sending email with different subject lines to each half of your mailing list to see which subject lines get better open rates, and doing the same for different requests to take your survey. You should only change a single thing at any time to have a valid A/B test. If your list has up to 2,000 customers and you want to send no more than a total of 12,000 emails per month, you can do it for free. The paid plan starts at $20 per month for 500 customers, for example. MailChimp tracks recipients’ actions, but does not disclose that it is doing so, at least by default. I am already aware that this has been raised as an issue with the national data privacy organization in one European Union country. Two capabilities are the most critical when considering advanced solutions for managing NPS surveys. For clarity, I am talking about software that only manages surveys. There are of course many solutions that manage surveys together with many other things. You should embed the rating question in outbound emails to customers. This will give you double to triple the response rate, compared to sending the same survey with just a link in the email. There are various reasons for this. Given the number of phishing and ransomware attacks we hear about, people are reluctant to click on links they do not absolutely trust. It helps if the email comes from your company email server and that this is clearly visible. You need to be able to do a first-pass analysis of the verbatim answers without human intervention. I blogged about this some time ago here. 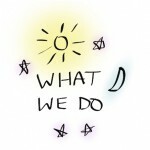 What does a complaints team do? I was re-listening to an old Freakonomics episode about gun safety in the USA a few days ago. Quite a lot of the discussion was about our emotional reactions to various facts, compared to a truly rational reaction. For example, factually, a US child is apparently a hundred times more likely to die from the parents having a swimming pool compared to the parents having a gun. This made me think about what I have written in our book Customer Experience Strategy – Design and Implementation about how to use emotional reactions to your advantage. In short, you should present numbers in one way to have people think they are important, and in another way if you want your audience to pay no attention to them. ● Urn A contains 10 marbles, of which is one is red. ● Urn B contains 100 marbles, of which eight are red. Easy choice, right? Not so easy, apparently. In the various repetitions of the experiment, 30 to 40% of students chose Urn B, despite the lower probability of winning. As Kahneman says, “…the remarkably foolish choices that people make in this situation have attracted the attention of many researchers.” He uses Paul Slovic’s term ‘denominator neglect’ to describe it. Some of the phenomenon seems to be explained by how vivid the image of something is in our minds. It is easy for us to imagine the eight winning red marbles against a rather indistinct background of white. Our System 1 has acted and found the answer. System 2 continues to take a nap. Perhaps more remarkably, one study showed that people told about a disease that “kills 1,286 people out of every 10,000” believed it to be more dangerous than “a disease that kills 24.14% of the population.” The imagery of the absolute number overwhelms the relatively abstract notion of a percentage. This matters for how you communicate the results of any study of what customers want. When you want your audience to internalize and act based on your numbers, use absolute numbers, not percentages. You will of course occasionally want people not to pay much attention to some numbers, and the use of percentages will help. Paul Slovic and his colleagues cite an article that states that “approximately 1,000 homicides a year are committed nationwide by seriously mentally ill individuals who are not taking their medication.” That could also accurately be expressed as “the annual likelihood of being killed by such an individual is approximately 0.00036%.” The former grabs your attention on an emotional topic. The latter makes you want to yawn. The version to use depends on what you want to accomplish. As many of you know, I manage the Customer Experience Management group over on LinkedIn. We passed the bar of 99,000 members a couple of weeks ago, and will reach 100,000 within about a month, though that is not what I want to write about. A question about how to measure the effectiveness of complaint handling teams came in yesterday, and I would like to say a few words about the subject here. The way I think about customer complaints is that they are situations where the ‘normal’ company process has failed to deliver the result the customer expected or situations where the customer can’t identify what the normal process is. 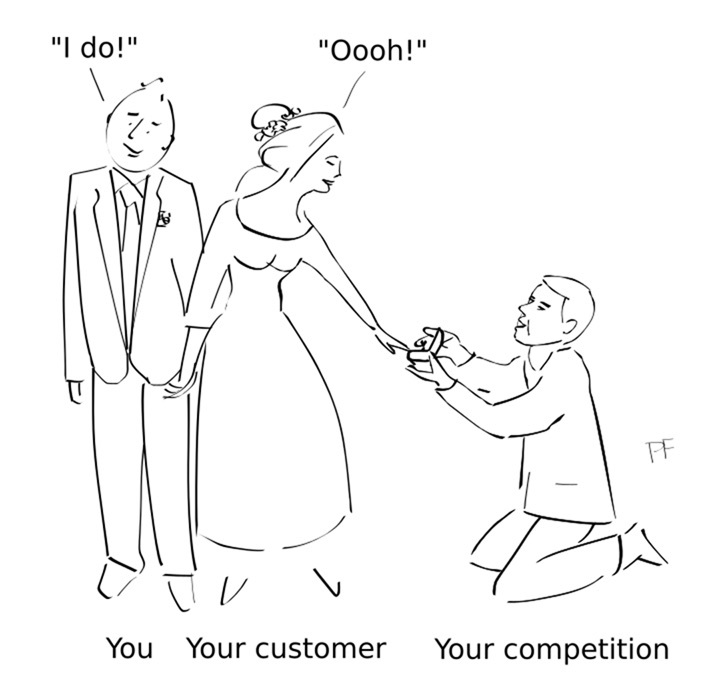 In 99% of such situations, the best you can do is to prevent the customer leaving you. If they stay, you have succeeded. After all, they should never have had to complain in the first place. I just don’t see how a complaints team can drive revenue growth or bring you new business directly. This means that the way to measure the effectiveness of a complaints team is by tracking customer loyalty. If you know your historic rate of losing customers each year by business and don’t have a complaints process, try implementing one for a single business, then comparing loyalty numbers after about six months. Alyona is one of the world’s leading experts in Natural Language Processing. I consider automatic text analytics to be the single most important technical innovation in customer experience. The reason is that it removes human bias from the interpretation of written customer feedback. It can be applied to unstructured survey data and to online reviews, among others. The whole area is evolving rapidly, as are the ways we can think about and understand it. This short article Alyona has written on LinkedIn explains thematic analysis and compares it to sentiment analysis in a clear and simply way. And she even put a cute photo of a pair of dogs at the top. Enjoy it all here. Moving on from Alyona in New Zealand to Omoto in India, Shruti Sarkar and Vivek Jaiswal interviewed a lot of people in the CX community and wrote this interesting article on CX careers. (Yes, I was one of those interviewed.) The result includes fascinating data about many aspects of our profession, as well as quite a bit of advice. I had no idea the demand for CX leaders was growing so quickly. This is worth the five to ten minutes it will take you to read it here. I will be the guest in a live webcast hosted by Alyona Medelyan on July 19th. The title is How to combine science and emotion for Customer Experience Success. My preparation is what made me think of the first article in this newsletter. Time zones are tricky to deal with. The webcast is at 11 a.m. Pacific, 2 p.m. Eastern, 8 p.m. Central European Time, for example. A recording will be available to everyone who registers. You can sign up for the webinar here. It is tempting to keep feedback requests very short to improve completion rates and avoid wasting customers’ time. However, I have yet to see research where demographics did not make a difference. Sometimes the differences are surprising. For product surveys, responses may vary depending on whether the respondent is a purchasing decision-maker, an influencer or an end user. Respondents are asked to self-categorize. For employee surveys, whether the person works from home, the office or is always on the road may matter. Even in B2B environments, women often provide different input to men. You should be able to do the demographic split well enough using people’s names, if you have a few hundred responses. In HP’s research on consumer printers, women mentioned ease of use and overall quality twice as often as men as a reason for recommending the printer. Men mentioned the price of supplies, low ink consumption and value for money twice as often as women. In short, the survey showed that women care about different things than men. It changed the messaging and marketing we used, as well as the training given to people in retail stores. A Swiss business school did a simple NPS survey among its students. Once again, women and men scored quite differently depending on where they lived. Women living at home were far happier than male students living at home (meaning with their parents). This was not expected. It was pure chance that the survey owner decided to look at gender as a factor. The full range of NPS differences by demographic is shown below. Respondents with the attributes towards the top-right gave the highest Net Promoter Scores. One last point: If you don’t already have the demographic information but it is of no conceivable use in an action plan, please don’t ask. Let’s suppose you want to know what should be improved in your commercial air-conditioning products. Asking the respondents what age they are is of almost no conceivable relevance. Whether you use the Net Promoter Score or another system, one challenge is to know whether your score is good or bad. The best way to know is to compare your trends to those of your main competitors. (If you believe you don’t have any competitors, well… you have a different problem entirely.) But how can you make such comparisons? There are no comprehensive public databases of NPS benchmarks that have been collected in a consistent way. Yes, there is at least one site that will allow you to look at what companies publish as their own NPS number. But your number and their number will not have been collected in the same way. The main source of NPS benchmarks up to now has been the Temkin group’s regular NPS benchmark report. This has changed. JD Edwards, ROI Rocket and Bain have teamed up and established ‘Bain Certified NPS Benchmarks’. In principle, and as originators of the Net Promoter System, only Fred Reichheld, Bain, and/or Satmetrix could possibly certify that an NPS benchmarking process is correct. While the article does not say exactly how Bain certification works, it provides some clues. A minimum of 250 responses was achieved for each company covered. They interviewed between 3,000 and 100,000 consumers for each industry sector covered, far more than I have seen for any other study. They have collected data for “more than a dozen” industries. You will also see that their work with ROI Rocket on retailers proves the considerable spending differences that exist between Promoters and other respondents, as well as a variety of other factors. OK, I think that is enough of an introduction. Reading the paper in detail will be a good use of your time. And by the way, the leading retailer, in terms of NPS, has a name that begins with the letter A. Read all about it here. Some months back I wrote a non-customer-experience LinkedIn article suggesting that if you want to be happy, you should not work for any company whose main product/service is cost reduction. The reason I gave is that if you do so, you become the cost reduction. Take outsourcing companies as an example. Their business is offering companies cost reductions of about 20%. Examples include companies that propose to operate your IT infrastructure for 20% less than it currently costs you. These reductions can only come from three sources: capital costs – notably real estate costs, people costs, and paying suppliers less. An article just appeared in 27/7 Wall St. that provides at least some proof for this. Entitled Worst companies to work for. it uses Glassdoor ratings as its source and excludes small companies. DXC is 12th worst. They have 150,000 employees and are the result of the merger of the former outsourcing division of HP with CSC. The main resulting business is IT outsourcing. Employees complain about absence of pay raises and bonuses, and ongoing layoffs. Alorica is 11th worst, has 176,000 employees and provides outsourced support desks for companies that want to reduce the cost of doing the work themselves. At number 8 (from worst), CompuCom has 11,000 employees and provides IT services. There are other cost reduction and low-cost companies on the list. My message remains unchanged: If you work for one of these companies, you are a source of cost savings, unless you are at the level of the leadership team. Unless you are desperate, I suggest not working there. Way back in October last year I blogged about using direct marketing techniques to improve response rates to surveys. This post addresses five additional ideas that are specific to survey requests sent by email. Customer Success teams are common in the software industry and exist in some other industries too. For software, their work is to ensure customers actually use the software they have bought. The service is usually provided at no charge. Among other tasks, Customer Success people sit with users to observe them using the software and to determine whether they can achieve the results that were used to justify the purchase in the first place. When I worked at HP’s $4B software division we ran an A/B test where one business had a Customer Success team and another comparable business did not. The improvement in contract renewal rates made it easy to decide to expand Customer Success to all businesses. So… renewal rates were our main metric. Bruce Temkin’s team proposes a Customer Success Index based on a composite of five metrics in their latest blog. Read it here. Two Temkin Group posts this week! (I have no connection with Bruce or his company.) The most-downloaded content on their website is a free eBook called The Six Laws of Customer Experience. It is supported by a simple infographic that I find to be both clear and useful. You can download it in various sizes here. A relatively quiet time as summer starts. You may like to contact me if you would like me to talk to you or your teams, in person or remotely. A LinkedIn video conference or similar might be useful for one of your team meetings or training sessions. I had another call with the head of CX for a large global B2B company based in LA. He was looking for input about the way he planned to report their latest relationship survey results. The people surveyed were a good representation of the views of their largest customers. So… what is the problem with that? My own opposition to reporting relationship research scores by individual customer is well known. I blogged about the subject back in April, and won’t repeat those messages here. However, during our discussion, I thought of something new. Why not report relationship research by position? By this I mean provide scores across all customers for respondents from the Finance function, from IT, from Procurement, from Facilities, and indeed from whatever businesses and functions you may find relevant? That would have at least one big advantage, and perhaps one disadvantage that I can think of so far. Let’s start with the advantages. If you compete in a commodity business, the views of people in the procurement / purchasing department are important. If you can see the procurement trends and customer comments across all customers it should be easy to understand what is going on and how you can improve. If the end users of your product or service are trending negative, you will be able to understand this and act more quickly than if this were buried among the other data. The main disadvantage I see is a communication challenge. Not all respondent businesses and functions are equally important to you. It may be hard to communicate which are the decision-makers, the influencers, and the end users. Anyway, that is the relatively simple idea. I am disappointed I did not think of it years ago when working at HP. Let me know what you think. When you run a company that loses lots of money over many years, your personal reputation is critical. Jeff Bezos understood this and managed to get shareholder support for his long-term strategy. Elon Musk has invested lots of his own money in Tesla and SpaceX, among other ventures. All I can say is that Musk seems to have lost the plot, as far as credibility is concerned. His tweets about nano technology and about the media may have started off as attempts to be humorous. By ‘doubling down’ and repeating his comments with stronger words I feel he came across as mentally unstable. Maybe he felt a lot of pressure coming up to the shareholder meeting on Tuesday this week. On nano-technology, here is what he tweeted as a reply to one of the world’s foremost nanotech experts (Upulie Divisekera): ‘Ahem, you have “nano” in your bio. That is 100% synonymous with bs.’ He backed off this comment just a little, but not much. For a person who manages companies that make extensive use of nano technologies, this is surprising. As far as the media are concerned, well, his comments are strange for someone who does little or no advertising and is dependent on the media for his success. Tesla has been having some difficulties with car manufacturing lately, along with potential auto pilot problems. Following some comments he made about “…increasingly immaterial reports [about Tesla] dominating news cycles” he became more extreme, saying “The holier-than-thou hypocrisy of big media companies who lay claim to the truth, but publish only enough to sugarcoat the lie, is why the public no longer respects them.” Things got worse after that. What can he be thinking? What can he be trying to say? At least the car company is allegedly in danger of running out of cash this year, and he needs all the media support he can get so that customers stay on his side. My message: Your reputation is everything. Don’t blow it. The start of a long story: How I learned about ‘customer-centric cost reduction’. I have not posted anything funny in a while. Or at least, nothing that I intended to be funny. So let’s plug that gap with a Blogspot page on the subject of Help Desks. Those who are extremely sensitive and concerned about political correctness may want to skip this. Get it here. Brazil-based CX influencer Ricardo Saltz Gulko manages a CX group on Facebook and posted the list of books he read and is looking forward to here. Yes, one of our books is on the list. Personally, I keep Facebook for private things and follow Ricardo’s group passively. If you want to have a look, you should be able to find the Facebook group here.